The IML provides a broad range of state-of-the-art immunologic monitoring assays, and also designs, evaluates, and standardizes new products and assays, to support clinical trials of novel biological therapies for cancer patients. The IML has an independently-monitored and extensive quality control (QC) and quality assurance (QA) program to ensure the validity of test results and safety/quality of therapeutic products. The IML is CAP inspected and participates in several external proficiency panels for assays. The IML also serves as the Central Immunology Laboratory for the ECOG-ACRIN cooperative oncology group. The laboratory now performs over 50,000 assays per year. These can be performed in real time on fresh blood, while serial monitoring of samples over multiple time points are batched and tested in one assay to minimize inter-assay variability. Absolute numbers of lymphocyte subsets are determined by a single-platform flow-based method. Assays for antibody responses to proteins and viruses are performed. 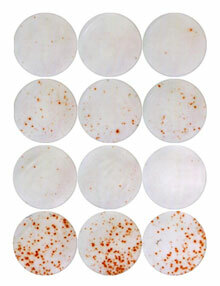 Assays for monocyte and granulocyte functions include cytolysis, H2O2 production, and production of monokines. Single-cell assays routinely available for quantification of antigen-specific T cells include ELISPOT for IFN-γ, IL-2, IL-5, and granzyme B; cytokine flow cytometry (CFC); and tetramer binding. The Facility has the ability to process large volumes of blood (up to 200 ml per patient) as well as leukapheresis products; it cryopreserves (in a rate–controlled manner) and banks patients’ cells for later simultaneous testing of sequentially–collected specimens. The laboratory is responsible for shipping samples collected from patients enrolled at other clinical sites to UPMC Hillman Cancer Center, or from those on Hillman protocols for assays not performed at this institution and for ECOG-ACRIN–sponsored protocols. In collaboration with the Hillman Biostatistics Facility, the IML has developed a number of programs for data analysis, including an improved lytic unit transformation program as well as curve–fitting programs for cytokine assays. A jointly written program provides for data verification and checking of outlier results prior to final data analysis for each protocol. The data generated by the IML are computerized, checked for accuracy, and made available to biostatisticians for analysis.